One of Guyana’s popular National Dishes, is the Pepperpot, which has it’s origins in the heart of the hinterlands where many of Guyana’s Indigenous Peoples reside. For many Guyanese, Pepperpot is prepared and consumed mainly at Christmas time, while for others, it is enjoyed all year ’round. For example, in most hinterland communities and also at the Banks DIH Camp Street Quik Serv, located on the same block with Citizens Bank, which prepares Pepperpot among other dishes every Sunday morning, and the sessions are usually well patronized. Many of the customers turn up after attending their Sunday Morning Service. While garlic pork and black cake among others are also popular at Christmas time in Guyana, Pepperpot reigns supreme among them, and that for many results in an enthusiastic, “Hooray!” Back in the day of Christmas in colonial British Guiana, which is before the invention of the electric stove, folks on the coastlands of the British colony, prepared their pepperpot somewhat like the Indigenous Peoples in the hinterland from whom the dish was learnt. It was cooked over wood fires or in coalpots fired with coals supplying the fuel. But that was a long time ago, and even though the method of preparing Pepperpot has been modernized using electric stoves and pressure pots, the basics elements remain the same. 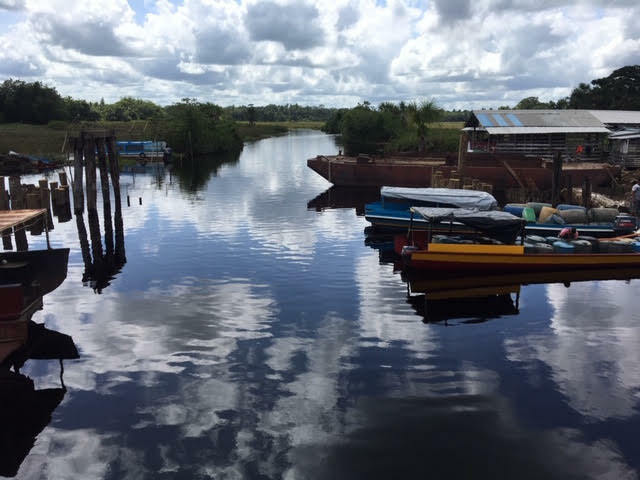 In Guyana’s North West District (now officially Region One), and other hinterland regions such as the Cuyuni, the Mazaruni and the Rupununi, the Cassava plant is wildly cultivated. The cassava is used to make casareep which is one of the principal ingredients for making pepperpot. First, let’s pause for a moment and consider the hard-working cassava farmers who toil daily in sun and rain to tend their cassava farms. 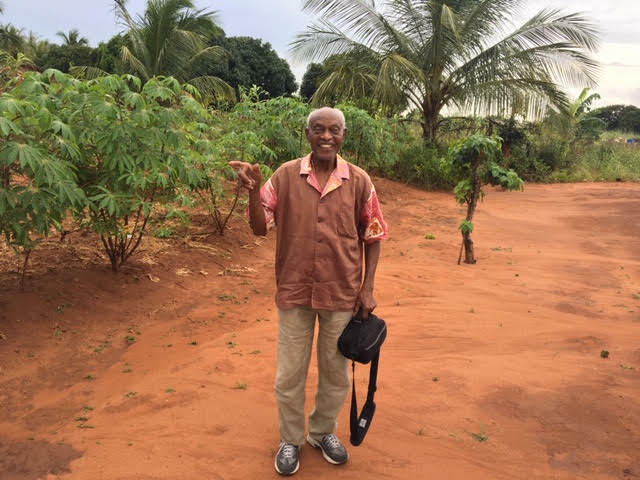 And as a quick aside, I have to mention the healthy-looking cassava plants which I saw at a farm at East Dangme in Ghana, while on a recent visit to that West African country. One needs to be reminded that although there is an impressive production of cassava in our sister Commonwealth country, Ghana, there is no Pepperpot available over there. As we continue to think of those who make significant contributions to our Christmas Popperpot, let’s now consider the women in Guyana who fetch the cassava for long distances from the farms after the reaping, then grate and process the root crop into the dark, molasses-like casareep. All that is just the beginning of the process of making our Christmas Pepperpot; the casareep being one of the principal ingredients. Casareep acquired, then the other ingredients which include beef, veal, pork and other meats such as “wile meat”. Those will have been acquired as a result of other hard-working farmers and hunters; mainly the men. If the cooking process is done over a primitive fire or fire-side, then one has to consider whose job it was to collect the fire wood or coconut husks. If the pepperpot is cooked on a modern electric stove, the manufacturer must be acknowledged, So, too, those who work in Electricity Companies, toiling day and night to ensure that the stove is functioning to produce the fire which keeps the pot with the pepperpot, boiling, boiling, boiling. And of course we must not forget those who manufactured the pot; be it a regular pot, or a pressure pot. Even the manufacturer of the big spoon which is used to stir the pot, should not be ignored. Finally, the bowl or plate and cutlery into which the finished pepperpot is placed, and which is lifted and placed into our watering mouths, was the product of a manufacturer, who like all others who contributed to our Christmas Pepperpot, must also be acknowledged. If you are not a vegetarian, consider the many people who have contributed to that special Indigenous Guyanese dish you delve into at Christmas time, and especially when you request or have yourself a second serving. There is a relatively new calypso entitled, “Santa Looking for a Wife”, in which Santa Claus is advised to come to the Caribbean where he will find the best wife possible. The suspicion is that the wife Santa will find most loving and rewarding, is one who knows how to prepare a good pepperpot, and teach him, too, how to do so, as well, and together they will share out the toys to the good girls and boys, and Pepperpot to the good Ladies and Gentlemen. 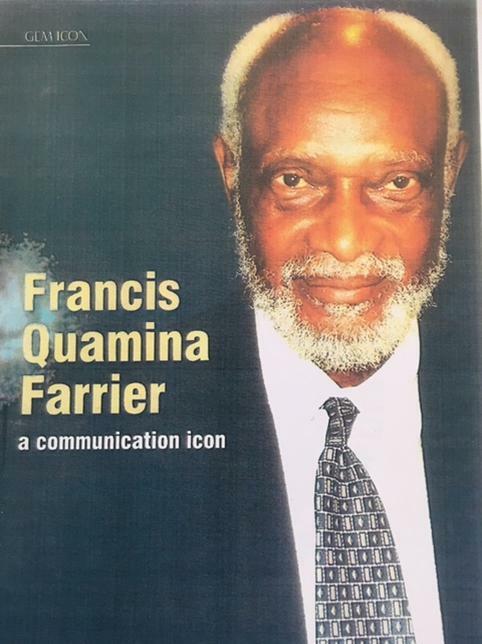 And as Santa goes from home to home here in Guyana, and with his jolly belly full of Christmas Pepperpot, he’ll be saying, not just, “ho, ho, ho!”, but rather, HO, HO, HO!”, while on the Radio we hear the classic Guyanese Christmas song by the Four Lords, “Santa Claus on his way, Happy Christmas to you Dear, Happy Holiday”. Farrier, wearing one of his Ghanaian shirts, is in one of the many large Cassava Farms at East Dangme in Ghana. 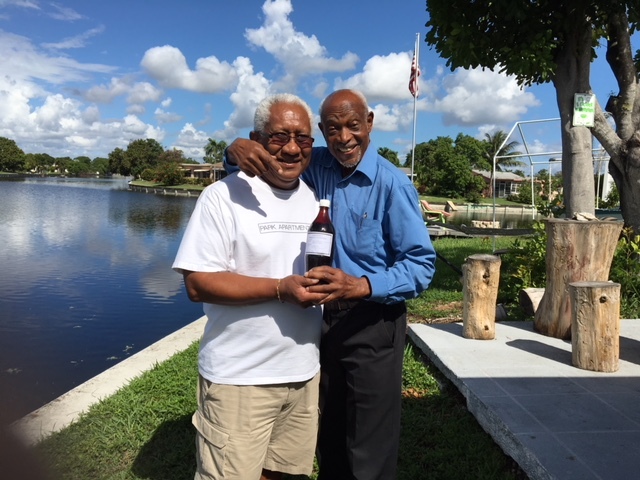 Farrier presenting a bottle of Pomeroon Casareep to Pomeroon-born, Florida-based, Aubrey Fredericks at his Fort Lauderdale home.